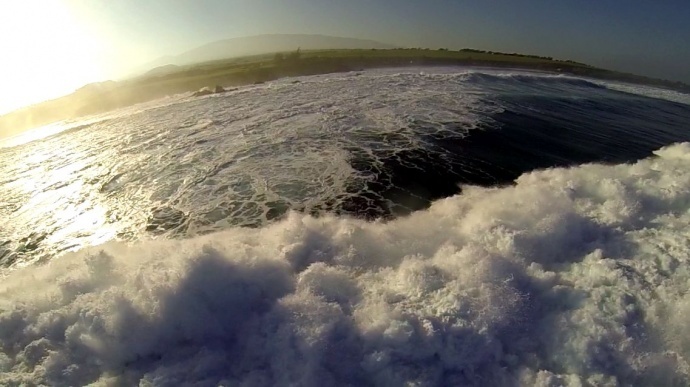 Maui Now reader Everett Peacock sent us this photo of Hoʻokipa during a recent large swell. Date 1/19/2014, courtesy Everett Peacock/TheFlyingHawaiian.com. The National Weather Service is forecasting “extra-large to giant surf” as a northwest swell approaches the main Hawaiian islands. Forecasters with the NWS say the swell is large enough to produce warning level conditions across the north and west facing shores of Niʻihau, Kauaʻi, and Oʻahu starting mid-day on Saturday. NWS forecasters say the swell is being generated by a strong low far northwest of the state, and are predicting surf to be in the 25- to 35-foot range. A high surf warning goes into effect at 6 a.m. on Saturday, March 1, and will continue until 6 a.m. on Monday, March 3, 2014, for affected shores. 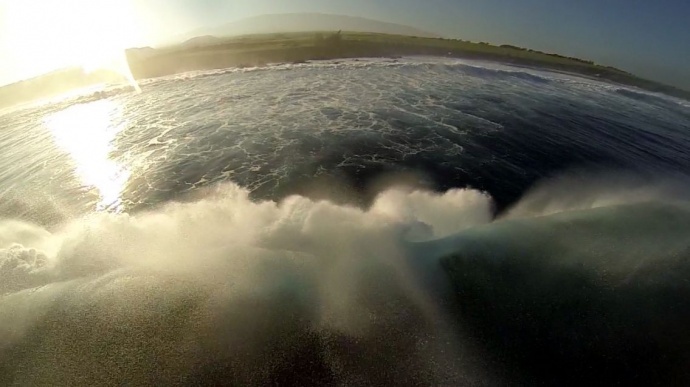 Maui Now reader Everett Peacock sent us this photo of Hoʻokipa during a recent large swell. Date 1/19/14, courtesy Everett Peacock/TheFlyingHawaiian.com. The warning was expanded to include the islands within Maui County including the north and west facing shores of Molokaʻi and the north facing shores of Maui. Warning level surf can produce dangerous conditions including deadly rip currents, strong breaking waves. As a precaution, beachgoers, swimmers, and surfers are being asked to heed the advice of ocean safety officials and exercise caution. ***This post will be updated if the timing of this event is adjusted, and when additional areas are added to the warning.